There’s no shortage of restaurants to eat at in San Francisco. From the big chains to the quirky cafes, like every major city these days, the variety is extensive. Of course if you’re visiting the US of A, many people like to check into major corporate venues like McDonalds that is synonymous with America or perhaps a restaurant like the Cheesecake factory that they’ve seen on a tv show. Me? Well it’s no secret to friends and family that I am in no way fussy. I grew up in (halal) fast food capital Saudi Arabia and live in quirky boutique restaurant haven Manchester. But how great to discover a new restaurant in San Francisco that is now a pretty big chain but has the menu simplicity and style of a boutique eaterie. 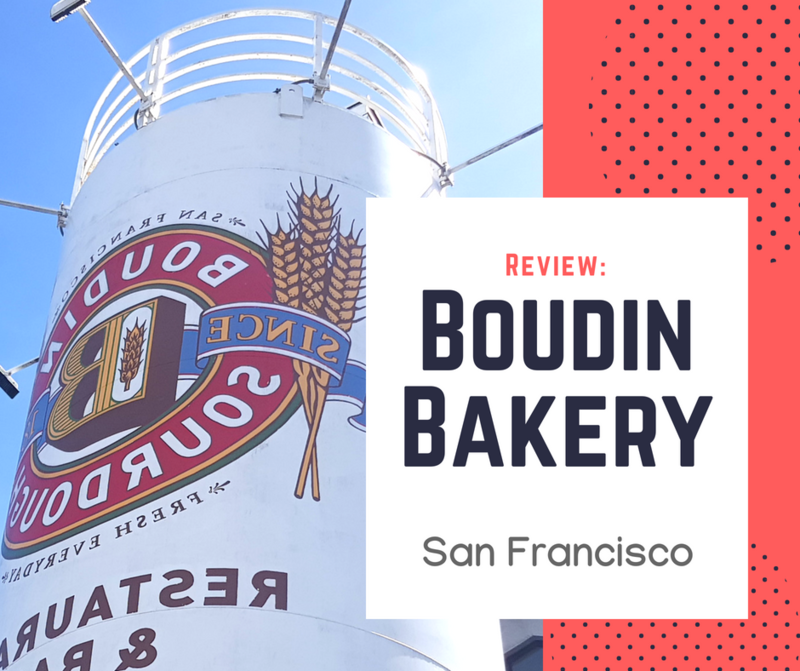 Thanks to a tip off by hubbys work colleague Matt, Boudin bakery was a top food find when we were living it up in San Francisco. 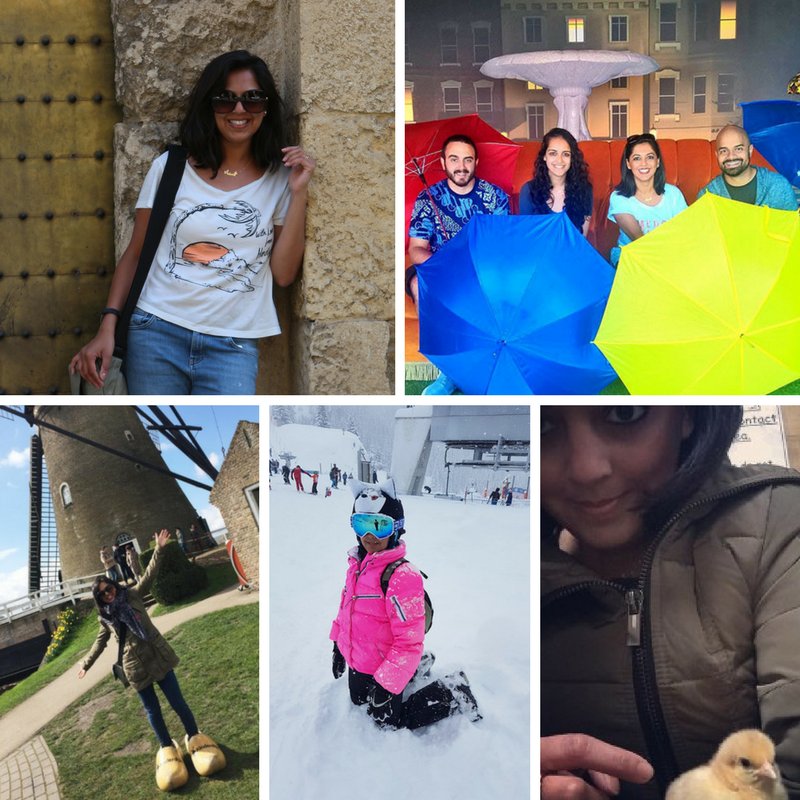 When people send you food recommendations for holidays it’s sometimes hard to scope them out, they’re not always around the area you’re staying, there’s so many other choices around or perhaps you want to try something your friends haven’t. This time there was also the added pressure of having to feed a whole group… so it’s not just finding a place for one or two people to like, there was over ten of us to feed and the pressure of decision making in those situations can be very unnerving (at least I had Matt to blame if it went wrong ;)). But with Boudin, well first of all, you really can’t miss it. Fisherman’s wharf is a tourist hot spot and Boudin can be seen right across the way from the promenade, not far from the infamous pier 39. This is the flagship bakery and the sheer size of this building is because of its combination of cafe, restaurant, bakery and shop. We had stopped off for lunch so it was very much the cafe section we were interested in. The main difference between the two – additional menu options and table service. If you are propping up the free for all cafe tables like we did, you have to go and order your food at the counter. It’s quick, easy and perfect for a quick bite. And you do really want it to be quick because the minute you walk in you are hit with the inviting smell of freshly baked bread, guaranteed to instantly awaken those taste buds and ensure your stomach is excitedly anticipating the upcoming meal. The huge observation window shows the bakers crafting batches of fine looking bread by hand and you can even talk to them through the intercom if you want to ask them anything (yes anything!). They’ve been baking sourdough since 1849 using the Boudin family’s time-honoured ancient methods and secret mother dough.They even give you the opportunity to watch how the wonderful artistic creations are put together, from start to finish and offer a tour if you fancy it. Between us we ordered different things off the menu… but trust me what you want to order is the firm favourite: Clam chowder in a beautifully round baked bread roll. Boudin is the home of sourdough so you want to make the most of it. The clam chowder is filling, creamy, full of flavour and the bread lives up to it’s quite high expectations. I took a real shine to it and the clam chowder was available to buy in tins at the marketplace, a perfect souvenir gift to take back home for friends and family – that didn’t cost the earth either, it was definitely cheaper than all the tourist memorabilia and I obviously bought a couple for myself too (I’ve got my eye on a good-cooking sourdough Manchester baker to order my bread roll from too). A couple of tins and sourdough bruschetta bags later, we were done, ready to move on to our next excursion feeling suitably satisfied from a tasty and fulfilling lunch.